You are one of those who believes in fortifying peace by preparing for war -- a tragic illusion, moreover; it is the disarmament of chauvinistic passions, not the eternal race to ruin and death, that can lay the foundation of peace. 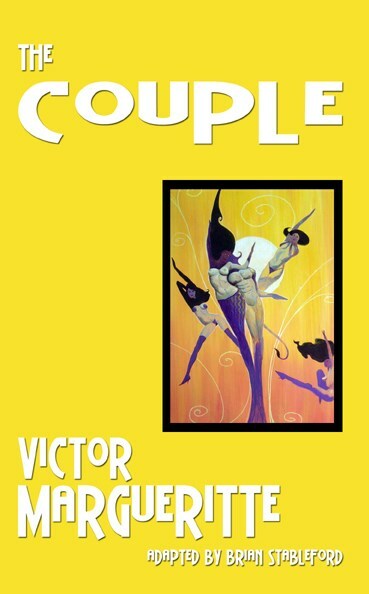 The Couple (1924) is the concluding volume in Victor Margueritte's trilogy, following The Bacheloress (1922) and The Companion (1923). It features both of the couples formed in the course of the earlier novels-Monique Lerbier and George Blanchet, and Annik Raimbert and Amédée Jacquemin, respectfully-but focuses primarily on their children and the broad social implications of an international socialist revolution attempting to overturn the depredations of capitalism. In The Couple, which is set in the near-future, Margueritte skillfully orchestrates a tangle of frustrated relationships in a way that allows the hope of security, freedom, and love to be transferred to outcomes of politics and war. The heightened sense of anxiety about the future, amid uprisings and political coups, picks up momentum toward a confused and conspiratorial rush to a war that is "nothing but a financial game, in which every proletarian cadaver consolidates the bourgeois strong-box!" But the central question remains: Where is the place for unique forms of love, the focus of this trilogy, in a world antagonistic to non-orthodox human solidarities?